Equipping disciples at Woodgreen to think biblically, live missionally and love God passionately. Confession time: I've never felt that I've really 'nailed' a cohesive, credible biblical theology of how a Christian should interact with and relate to the Law of Moses in the Old Testament. 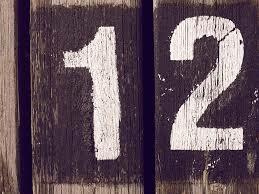 Sure, I've read a few books and articles over the years and landed on a position regarding the sabbath, but I've never really come across anything that felt like it captured a cohesive framework for thinking about how the law fits into the new covenant and in particular how the law is fulfilled by Christ. I've never really been convinced by the threefold view of the law as civil, ceremonial and moral. It's always felt a little forced and artificial to me. On the other hand, I'd never read anything else that made sense... until now! One of the blessings of a sabbatical, is the space to read and think through some of the bigger theological issues that the busyness of urgent needs and weekly ministry and preaching prep doesn't allow for. For me, good stewardship of sabbatical time involves focusing in on at least one theological issue for further study and clarity. 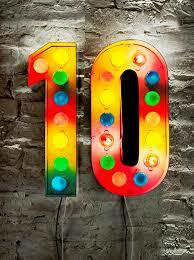 Paul told Timothy to be diligent in attending to his gifting 'so that everyone may see your progress' (1 Timothy 4:15). Ongoing reading and study is essential if a pastor is to stay fresh and growing and a sabbatical gives precious space to do that over an extended period of time. I'm focusing on three areas of theological/skill-related growth during my sabbatical. The first of these is the issue of how the OT and NT fit together, particularly in relation to the covenants and the law. 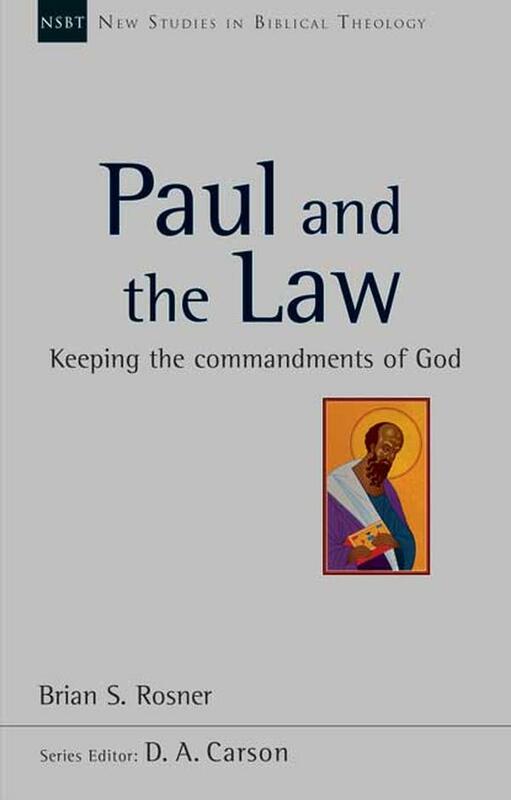 I've read a few books about this in the last few weeks but the standout one for me was Brian Rosner's book: 'Paul and the Law'. It was not an easy read - both exhaustive and exhausting at times - but it was worth the effort. 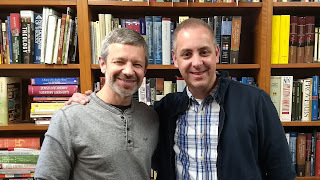 It was a game-changer for me - bringing together a lot of what I have instinctively thought about how Christians should relate to the law in the Old Testament in a credible, comprehensive theological framework. I am not good at retaining things I have read, so I tend to highlight passages and underline stuff and I use Evernote to retain helpful quotes or passages. Occasionally I write these up into something that summarises the 'meat' of the book. I did that with 'Paul and the Law'. 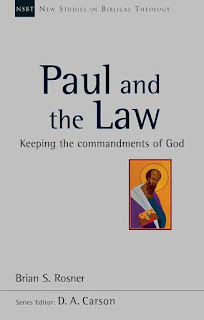 If you're interested, there is a link below to a (fairly comprehensive) summary of the book and it's 'big idea' that Paul repudiated the law, replaced the law and re-appropriated the law as prophecy and wisdom. I made these notes mainly for my own benefit, but I thought it might be worth adding it to the blog in case it was of interest to others as well. I recently had the chance to visit the States for two weeks as part of a 3-month sabbatical I’m taking this year. It was a wonderfully refreshing trip and I’ve been asked by a number of people from my church whether I’m going to report back on how things went. This post is PART 2 of my attempt to pull together some of my reflections and give an idea of what I got up to. 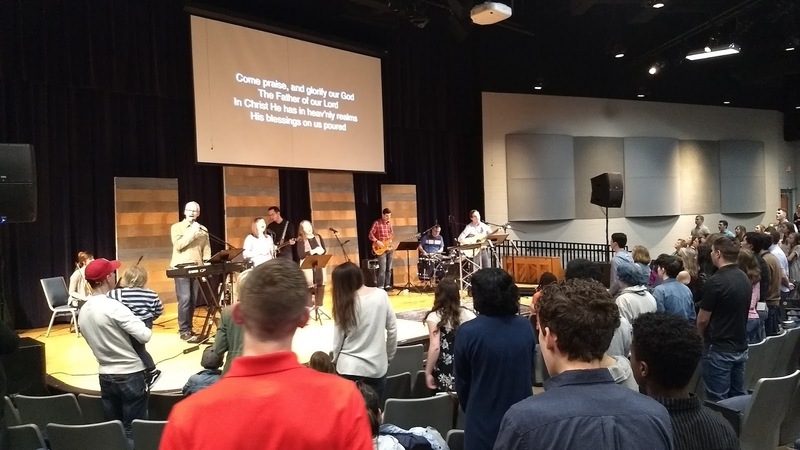 While the Together for the Gospel conference was a huge refreshment and encouragement (you can read about that in PART 1 HERE) my second week with Sovereign Grace Church of Louisville (SGCL) was the highlight of my trip. And the reason is very simple: they pastored me. 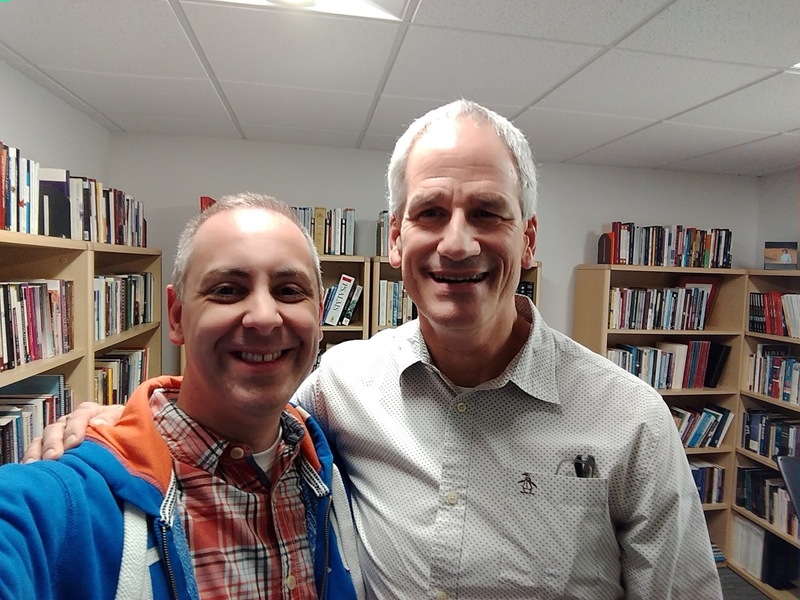 SGCL started in 2012 as a church plant, but its pastors have been involved in pastoral ministry for many years. It is similar in size to Woodgreen. 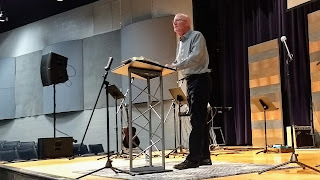 The senior pastor – C.J.Mahaney – is a preaching hero of mine. 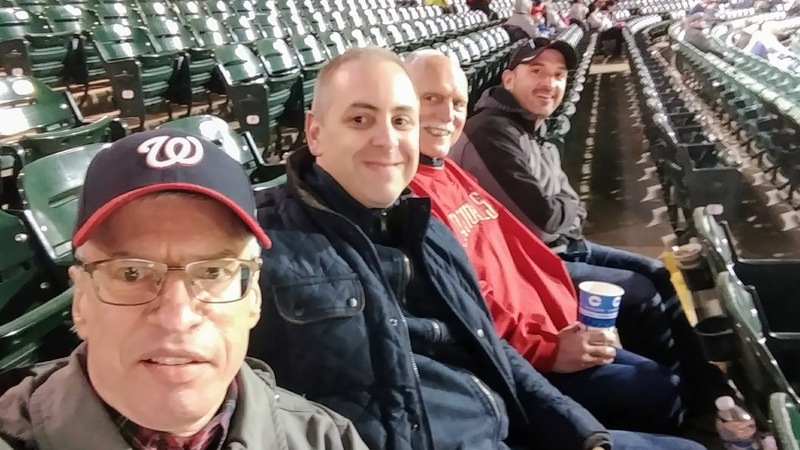 I listen to his sermons – and those of the other pastors - regularly and so when I realised that T4G was in the same city as the church they serve, it seemed like too good an opportunity to miss. Being pastored by CJ over lunch was one of the highlights of my trip. Sovereign Grace is a network of around 70 churches across the world, however their HQ is in Louisville. Here they have a Pastors College, which trains pastors and church planters, and they also have an active music ministry which produces contemporary gospel-centred songs, many of which we sing at Woodgreen. During my nine days with them, I got to worship with them over two Sundays, sit in on some of their Pastors College lectures, meet the students, sit in on some of their mentoring sessions, meet one to one with each of the church’s pastors (usually over meals), and even attend an elders’ meeting. Their kindness and generosity towards me was remarkable and humbling. 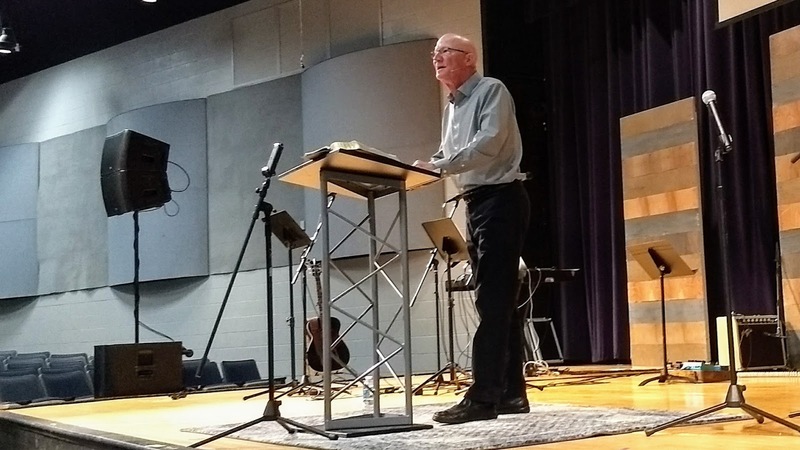 On my final Sunday Jeff Purswell - one of the church’s pastors and the Dean of their Pastors College – asked if I would like to address the church and give some of my reflections of my time with them. What follows is what I said. It’s probably the best way to sum up what the time with SGCL meant for me. I’ve interspersed it with some photos from my time with them. 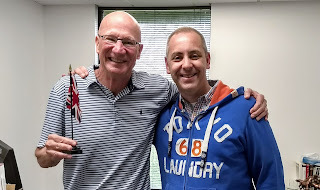 Jeff has asked me to share with you some of my reflections of my time here with you over the last two weeks. 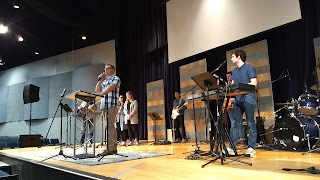 It is my privilege and delight to do so because it gives me the opportunity to thank you for the welcome you have shown me and to commend you for the grace of God that is so clearly evident in your church family. 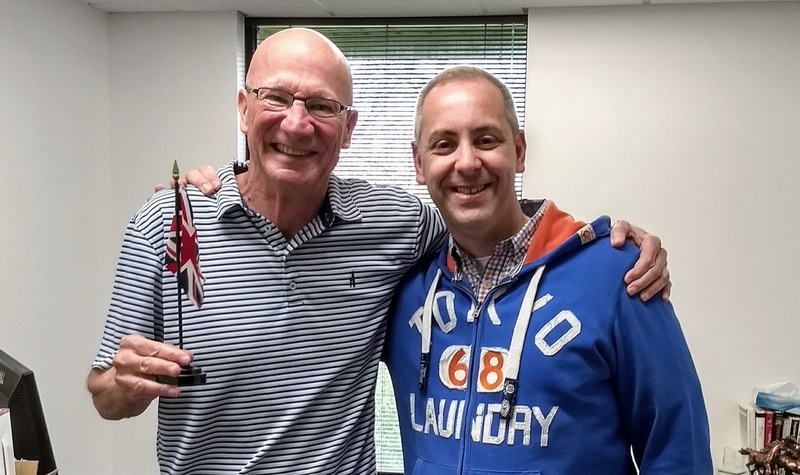 I first became aware of SG because of the Worship God leaders conferences that CJ, Bob and Jeff have done in the UK over the last few years. These have been such a blessing to me personally. Rather than leaving weighed down by a list of things I am not doing well as a pastor, I have left each one encouraged and refreshed and with a new awareness of the grace of God and the privilege of serving Him. So when my elders gave me the opportunity to take a sabbatical I immediately wondered whether a visit to Louisville would be a possibility. And my time here has exceeded all my expectations. It has been so incredibly refreshing and stimulating! 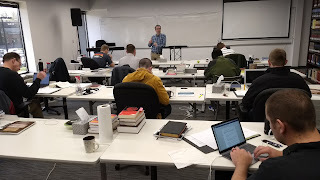 In particular - it has underlined for me three characteristics that I love about Sovereign Grace and that are so evident in this church. I have been overwhelmed by the hospitality you have shown me. One of the most striking ways you have done this is by taking me out for meals. I eaten well in the last two weeks! 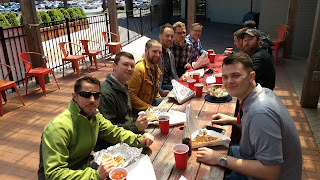 In the Bible eating with others is a sign of acceptance and an extension of love. And you have excelled at that as a church! You have shown me remarkable hospitality despite the fact that you hardly know me. And in this way you have modelled grace to me. I will leave Louisville tomorrow with new friends in Christ - as well as an expanded waistline! I particularly want to thank the Perkins family for opening up their home and their hearts to me. It has been tremendous fun spending time with Josh and Cheryl and their children. Guys, you have been such a blessing to me - thank you so much for putting me up and putting up with me. My host family who were such great fun! The most consistent phrase I’ve heard while I have been with you is this: ‘How can I serve you?’ That is a phrase - and more importantly an attitude towards others - which I have learnt from you and has made a significant impression on me. It is an attitude I will be taking with me back to Worcester. It was a phrase I became accustomed to in the run up to my visit in my contact with Melissa in the church office. Melissa - thank you so much for your cheerful servant-heartedness in arranging my itinerary and looking after my needs. You have been God’s gift to me. I’ve experienced this personally these last two weeks. But while here I’ve seen that this is not just personal to me, it is also part of your spiritual DNA as a local church and as a movement. This is one of the features of your church that is so attractive! I want you to know how much of a blessing you are to the wider church and I want to encourage you to continue to be big-hearted in extending grace. I say this because I know it involves sacrifice. It involves cheerfully supporting your leaders as they give some of their time to serve the wider church. When you send CJ, Bob and Jeff to do leadership conferences in the UK or elsewhere; when you support and work alongside Bob in his ministry with SGMusic producing gospel-centred songs; when you allow Jeff and Gary to invest their time in training and discipling men with their wives in the Pastors College; when you support your pastors as they mentor interns - many of whom will go on to serve in churches outside of Louisville; when you do these things, you are extending grace and blessing the wider church. And that blessing extends to places like the church I serve in Worcester - 4000 miles away - and to the 500 churches that are part of my network of churches in the UK. So as church members can I encourage you to continue to cheer on your pastors as they lead the way in extending grace to the wider church. I have seen firsthand that you are led well by men of integrity who love you and take seriously their responsibility to be good under-shepherds. Thank you for selflessly sharing them with the wider Church. I am so grateful to God for you. I have learnt so much from you. I have been refreshed by my time with you. And therefore I feel towards you in the same way the apostle Paul felt about the church in Philippi. We sometimes use this verse to encourage individual Christians who are struggling, but we do well to note that Paul gave this assurance to a church. Paul was sure that the good work God had started in the church in Philippi - would be brought to completion. Can I urge you to remember that in the times of trial you experience as a fellowship. God will complete the good work he has started in you as a church. His purposes for you will not be thwarted or sidetracked or knocked off course. And a small part of that good work has been to bless and refresh me in my time with you. Thank you SGCL. Their hospitality even extended to taking me to a baseball game. As you can see, it wasn't very popular! 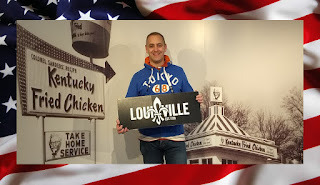 I recently had the chance to visit Louisville, Kentucky for two weeks as part of a 3-month sabbatical I’m taking this year. It was a wonderfully refreshing trip and I’ve been asked by a number of people from my church whether I’m going to report back on how things went. This post is PART 1 of my attempt to pull together some of my reflections and give an idea of what I got up to. The focus of the first week was attending ‘Together for the Gospel’ – a massive pastors conference that occurs every two years in Louisville, Kentucky. Louisville is famous for being the home town of the boxer Muhammad Ali and of Kentucky Fried Chicken. It’s also famous for its bourbon and for hosting one of America’s most famous horse races, the Kentucky Derby. 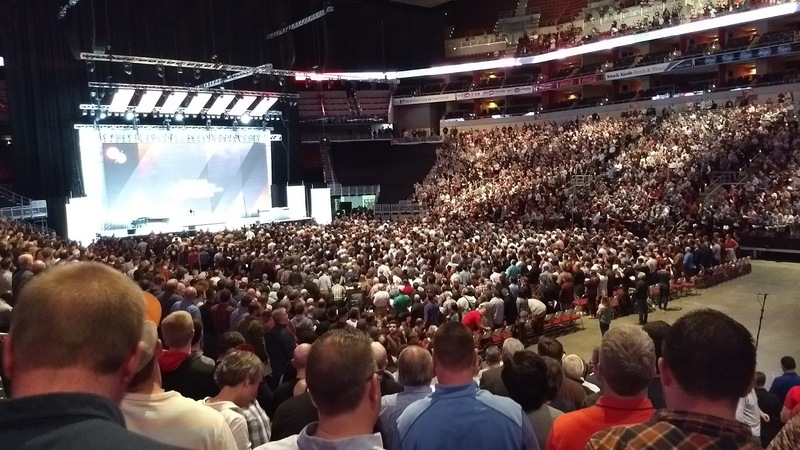 However every two years it also hosts a huge three-day pastors conference called ‘Together for the Gospel’, or T4G as it’s known. And this year, I got to go. 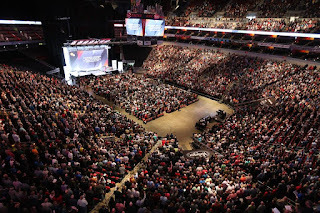 One of the most striking things about T4G is the sense of unity that characterises it. The leadership team and main speakers at T4G come from very different church backgrounds and the delegates reflect this. 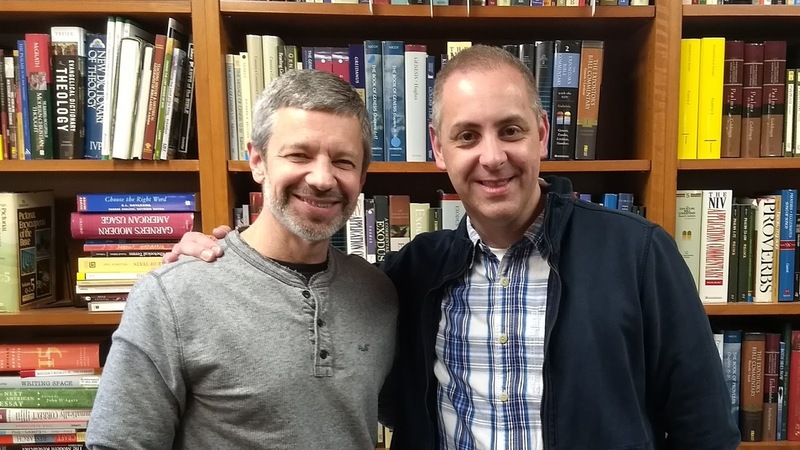 During the three days I met pastors of presbyterian churches, baptist churches, congregational churches, elder-led churches, charismatic churches, non-charismatic churches – I could go on. However, despite our differences on secondary issues, there was a tangible sense of unity. The reason for this is very simple: when T4G was started 12 years ago, its founders worked hard to clarify the basis on which their unity would be built. They recognised the biblical truth that true unity can only occur ‘in the gospel’ – where there is a clear embracing of gospel truth (1Cor 15v1-2, Rom 1v16, Eph 1v13, John 17:20). This basis for unity is expressed in a series of ‘affirmations and denials’ which define the gospel truths that are of ‘first importance’ at T4G. You can read them HERE. The network of churches Woodgreen belongs to - the Fellowship of Evangelical Churches - has a similar 'doctrinal statement' which clarifies the gospel truths its member churches hold to. T4G reminded me of how essential this is if there is to be meaningful unity and how sweet that unity is when it's based on a clear understanding of the gospel. This is because clarity on the gospel leads to charity on secondary issues. Issues such as views on church polity, second coming, baptism, spiritual gifts etc which so often divide Christians can be put to one side because we are clear about what it is that unites us: a common understanding of the gospel. I was reminded again that this the basis of all true Christian unity. We can only be truly together in the Gospel. 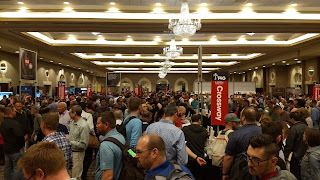 The sheer scale of the conference was the first thing that struck me. 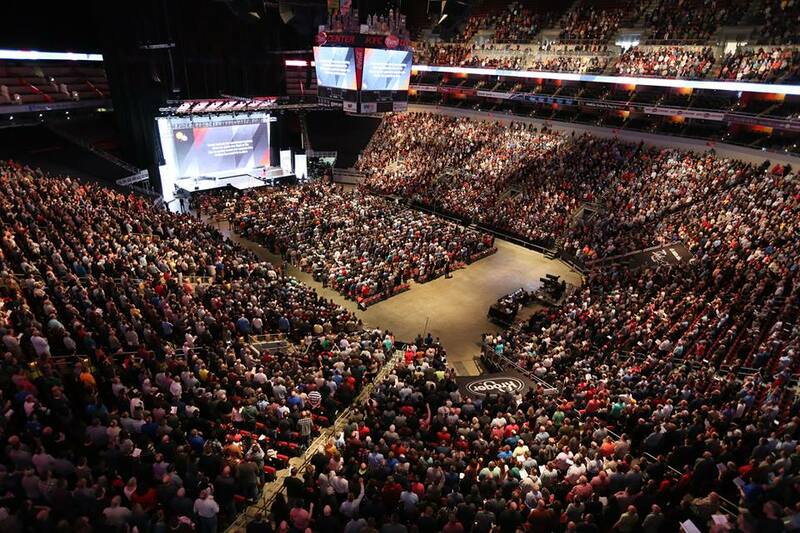 This year it was sold out, with 12,500 in attendance, most of whom were pastors and church leaders. 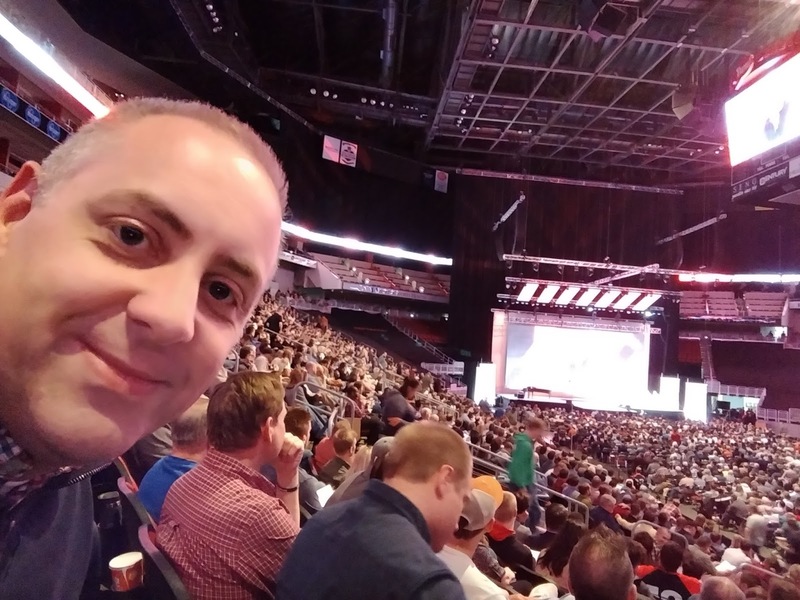 We met in a basketball stadium – the KFC Yum Center – which was transformed for the purpose. The photos above and below give you a sense of the scale, but they don’t do it justice. I remember walking into the stadium on the first day and being overwhelmed by how many people there were. And then there were the exhibition area and the monster-sized bookstall. It was like nothing I have ever been to before. 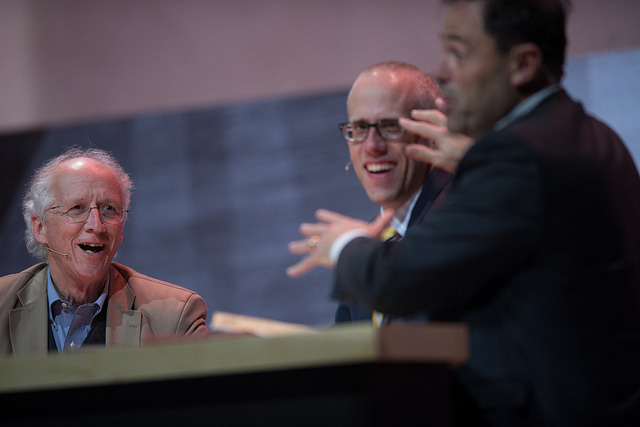 The theme of the conference was ‘Distinct from the World’ and the backbone of the three days were 10 main preaching sessions featuring: Mark Dever, David Platt, Matt Chandler, Albert Mohler, John MacArthur, Ligon Duncan, Thabiti Anyabwile, Kevin DeYoung, H.B.Charles and John Piper. I was familiar with most of these preachers but some were new to me. I had not come across H.B.Charles before, but his exposition of 1 Corinthians 1:18-25 - ‘The Message of the Cross’ - was the stand out sermon for me. You can listen to it HERE. It was such a privilege to be taught by these faithful men and refreshed by Christ-centred preaching that was aimed at church leaders. These main sessions were interspersed with less formal ‘panels’ where four or more leaders would discuss an issue while the rest of us listened in. These were often good fun as well as being insightful and helpful. But the highlight for me was – without doubt – the singing. Bob Kauflin from Sovereign Grace Music led us from the piano and I was often moved as we sung the gospel together. We sung old and new and the spontaneous response after each one was a very natural round of applause – in celebration of the truths we had just delighted in together. 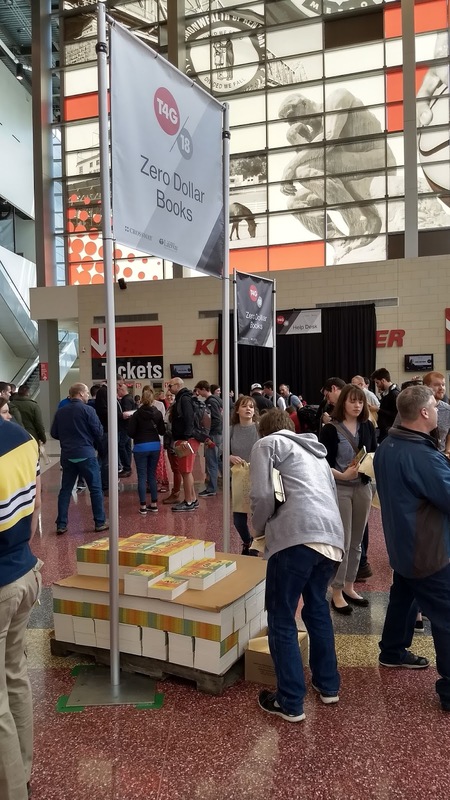 Another distinguishing feature of the conference were ‘zero dollar books’. I’d heard about this before I went and had gone with space in my luggage, but I hadn’t realised just how many books would be given away! I collected nearly 30! Before and after each session delegates were given a free book and many of the exhibitors also gave books away. And they were really good books! Commentaries, biographies, books on relevant contemporary issues, books to inspire and encourage. More than anything else, this feature highlighted for me the heart of T4G. It is a conference that honours pastors and church leaders and has a genuine desire to encourage, equip and spur them on. 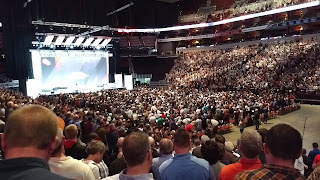 This was one of the things that struck me most on the first night as Mark Dever got different groups of people to stand up: lay elders, pastor who had served for less than a year, pastors who had served more than 10 years in one church to name just three categories. As each group stood there was spontaneous applause – an honouring of their service for the Lord. I am so grateful for the chance to go to T4G. It was refreshing, inspiring, moving and, above all, a reminder of the privilege of serving Jesus as a pastor of a local church. However... T4G was not the highlight of my trip. 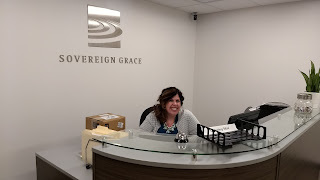 The highlight was the time I got to spend with Sovereign Grace Church of Louisville. But more about that in PART 2 HERE. It's been great to have lots of our mission partners from all over the world visit Woodgreen over the last few weeks. Hannah Coggins works as a teacher at Wellspring Academy in Chad, which provides primary education for the children of missionaries. 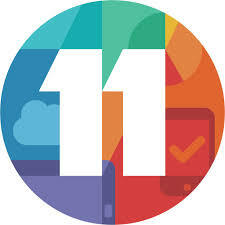 Click below for a link to a short video which gives a feel for what goes on at the school. I have the immense privilege of being Lead Pastor of Woodgreen Evangelical Church, Worcester, UK. I have been here since 2006 and have grown to love the city and its people. 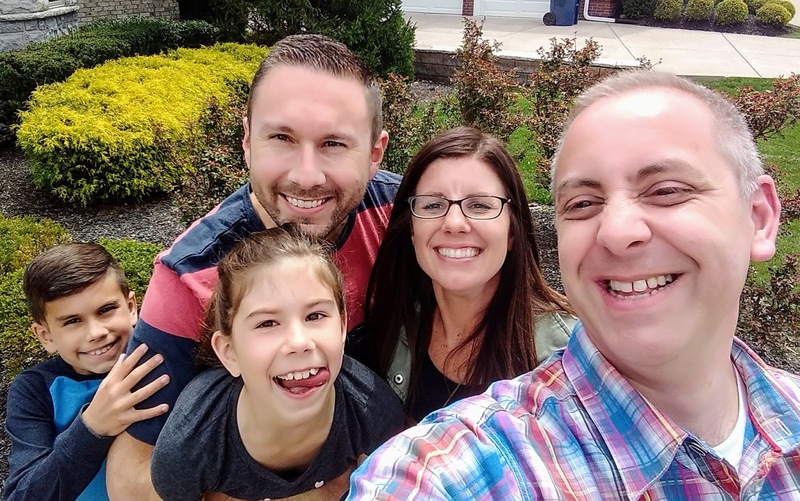 I love my wife and two young children passionately, but Jesus pre-eminently. 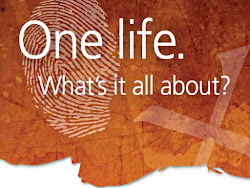 I believe my role as a Pastor is to make disciples who think biblically, live missionally, and love God passionately. Or put another way: who know, sow and show Jesus.